Joshua graduated from Fordham University School of Law. His practice areas include business law and commercial contracts, with a particular emphasis on the blockchain/cryptocurrency and technology licensing. As a startup founder himself, Joshua prefers working with startups and helping them properly handle all legal matter related to their business. 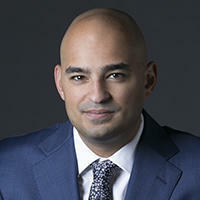 Joshua's prior experience includes almost 4 years at a top international law firm. Joshua Rittenberg does not have any reviews yet. ● Front line responsibility for licensing negotiations including reviewing and responding to customer markups and agreements, reviewing and responding to customer markups, questions or comments on the contract(s); engaging Company stakeholders and Counsel regarding terms and conditions; drafting language for custom commercials; and drafting amendments to standard customer agreements. My practice was based was on corporate M&A, licensing/technology transactions and intellectual property. Additionally, I focused on analyzing the legal and regulatory implications of blockchain and cryptocurrency technologies. I counseled clients on a wide range of issues including pre-ICO/"Coin Offering" token analysis and U.S. securities law compliance.